A bad driver hits your rig. You file a claim with his insurance company. They say you have to sign a release before they’ll pay you. You’re tempted, but our trucking attorneys encourage you to be very cautious! There are many potential pitfalls to signing a release or cashing a check with any type of release language on it. Owner operators who have been in accidents are in a hurry to fix their equipment and get back on the road. However, don’t sacrifice speed for your legal rights. Just remember: with signing a release, you are releasing the bad driver and his insurance company of any and all future claims, damages, and liability FOREVER. Were you injured? Did you seek medical care? Do you have outstanding medical bills? Did you or your business lose income? Did you have out of pocket expenses like towing, hotels and rentals? Did your equipment lose value? If you tried to sell it, would you get as much for it post-accident? Are there any supplemental repairs needed because of the accident? Simply, have you addressed all of your damages? If not, do not sign a release. The bad driver’s insurance adjuster may ask you to sign an all-inclusive release called a General Release. Be careful! A General Release encompasses ALL claims related to the trucking accident, including your property damage, downtime, and ALL personal injuries and medical bills (including future medical claims). 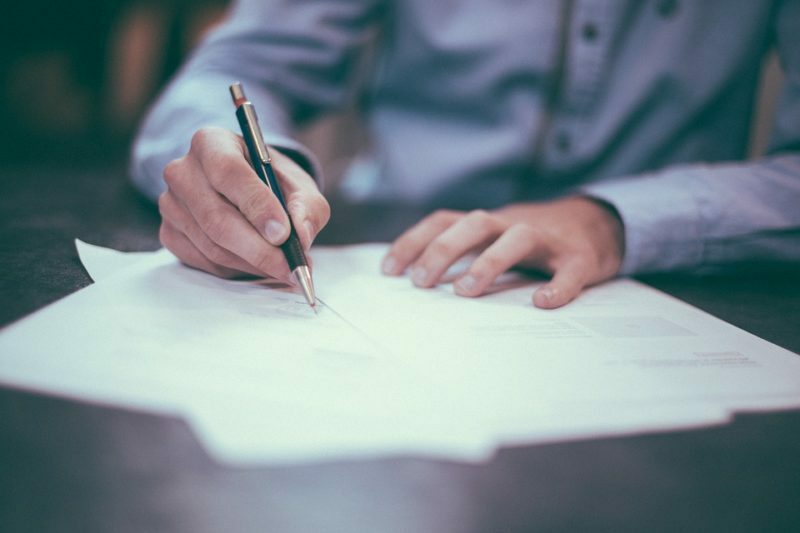 By signing a general release, you could also be wrongfully signing away the rights of your own insurance company to pursue subrogation (reimbursement of anything they paid you) against the at-fault party. We typically suggest our client signs a Property Damage Only release when dealing with repairs, downtime losses and out of pocket claims. Our office has a standard review procedure to make sure each release is acceptable for our clients to sign. We make sure all property damage has been settled (whether your insurance company or the at-fault insurance carrier has paid), language is added to the release to protect your insurance company’s rights (subrogation) to recover the monies they have paid out from the opposing insurance company, and all other open claims you may have outside of property damages are protected. The date and location of the accident. Everything you are releasing in plain language (i.e., bodily injury, property damage, downtime, and other noneconomic damages). All parties you are releasing. If your release is in Canada, confirmation settlement is in U.S. Dollars, not Canadian Dollars. In some states, you can purchase uninsured/underinsured motorist coverage for bodily injury and UIM Property Damage coverage. If the bad driver’s insurance is not sufficient to cover your losses, you can file a claim with your own insurance carrier to make up the difference. However, you must have permission from your own insurance carrier to accept money from the at-fault insurance company. If you sign a release without understanding this rule, you may be signing away your rights. Your insurance company may not be required to pay you under the UIM coverage. The general rule of thumb is this: don’t sign a release of any kind until all of your damages have been addressed and you have been compensated accordingly. Make sure you understand everything you’re signing. If you’re not sure, speak with an attorney. An attorney can help protect your rights to ensure you are adequately protected. At Eckert & Associates, PA, we understand how important it is for truckers to get back on the road after an accident. If you have been hit through no fault of your own, you may have the right to collect income for the days your equipment was down and unable to operate. Contact us now to find out if you have a claim.